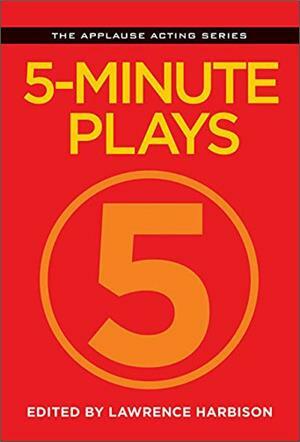 5-Minute Plays is a collection from veteran editor Lawrence Harbison, a man who has spent his career championing new and established playwrights by bringing their work into print. What's the story behind this one? In keeping with the spirit of the book, we'll give it to you in five. 1. On any given day, freely circulated viral videos make waves across our society – and we take the time to consume them. The top trenders boast an average length around five minutes. 2. Needless to say, an average play runs far longer (and costs much more). Accordingly, we don't have the time (or money) for theatre. 3. Variety is the spice of life – perhaps that's why the passive consumption of digital media runs rampant. Sometimes you feel like something melodramatic; sometimes you feel like something comedic. Sometimes you crave the firm grounding of realism; sometimes you crave the sweet escape of surreality. Sometimes you desire each of these things in rapid succession within the course of a half hour. Whatever your mood, bite-sized bits of entertainment keep you covered. 4. At long last, the world of theatre has caught up with the digital realm. Five-minute plays and festivals abound – you can now plow through a full-fledged performance in less time than it takes a busy barista to make your grande chai latte, skim, with whip. 5. Seems you suddenly do have time for theatre. Whether you're an actor looking for a quick warm-up, an instructor scrounging for tight scene exercises, or an everyday reader eager to speed-date some of today's most talented playwrights, 5-Minute Plays provides all the theatre you need without killing all the free time you have. Why not give it a whirl?